Sweet pretty things. In bed. Of course. City fathers try to endorse reincarnation of Paul Revere’s horse. Ghost of Belle Starr hands wits to Jezebel the nun who knits a bald wig for Jack the Ripper, who runs the chamber of commerce. Bride at the penny arcade is hysterical. Doctor tells her not to accept boys in her house. Medicine man offers a different prescription for her complaint, which is that she has just been made. He suggests that she swallow her pride. John the Baptist tortures a thief and asks his hero, the president of the United States, if there’s a hole where he can vomit. The president chases a fly, vows death to whimperers and cryers, drops his barbell, and accuses the sun of cowardice. Philistine king puts jawbones on the tombstones of his soldiers, then flatters their graves. He puts the pied pipers in prison, fattens the slaves, and sends them into the jungle. Gypsy Davey burns their camps with a blowtorch, and then takes a walk with his slave Pedro, who has a stamp collection that he uses to win friends and influence people. Someone throws Galileo’s math book at Delilah, who’s laughing herself to tears all by herself. Brother Bill, if Bob could help it, would end up in chains on top of a hill, along with a movie set by Cecil B. DeMille. Tuba players play at a flagpole where Ma Rainey and Beethoven once unwrapped a bed roll. National Bank sells road maps to the soul for old people and college students. Bob would like to write a dear lady a simple melody to keep her sane and end the pain of her pointless knowledge. Hello Robert, yes another slice of musical history cut into a small piece. 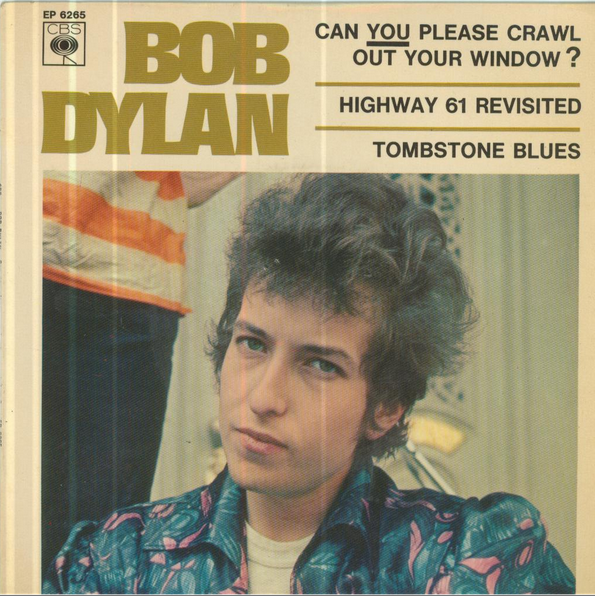 Join us inside Bob Dylan's Music Box http://thebobdylanproject.com/Song/id/680/Tombstone-Blues and listen to every version of every song.